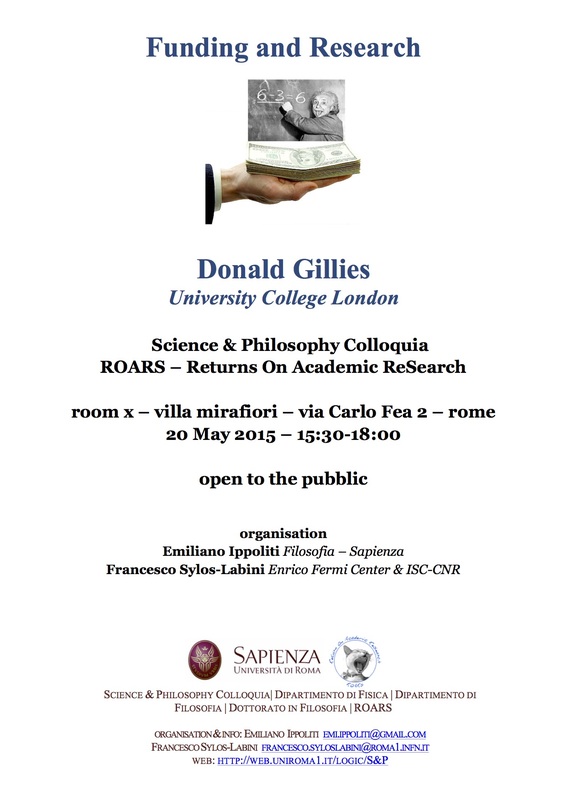 GILLIES, Donald. 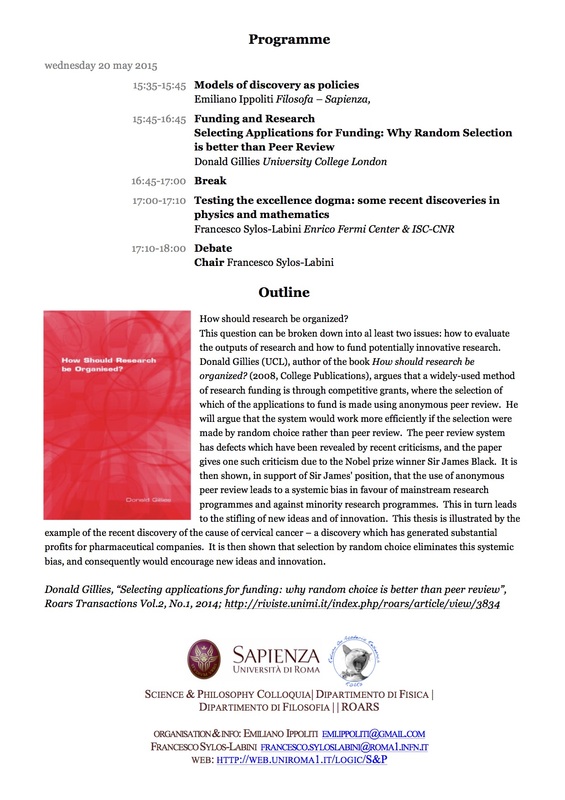 Selecting applications for funding: why random choice is better than peer review. RT. A Journal on Research Policy and Evaluation, [S.l. ], v. 2, n. 1, may. 2014. ISSN 2282-5398. Available at: <http://riviste.unimi.it/index.php/roars/article/view/3834>. Date accessed: 26 Oct. 2014. doi:10.13130/2282-5398/3834.